Sheppard Cemetery: Located in section 9 three-fourths miles east of the Lew Jones Road, northeast of the Wilcox Cemetery. Number of tombstones: 8. The Revolutionary War Veteran, Moses Gee, is buried here. 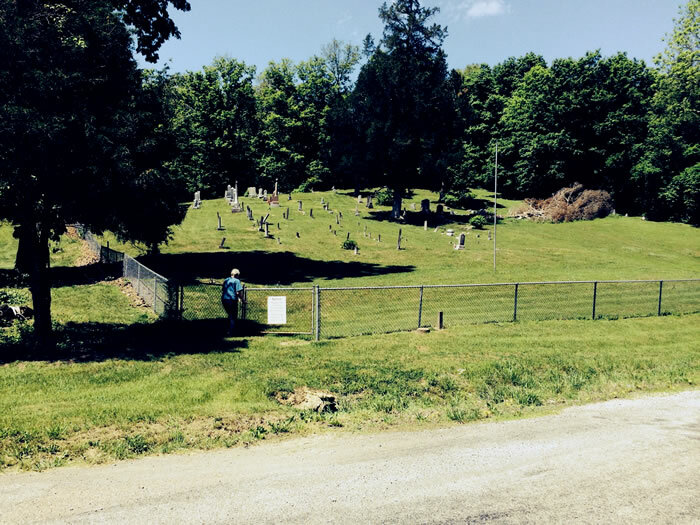 Snyder Cemetery (Jackson County): Located in Jackson County near the Gallia County line, one-fourth mile northeast of the mjunction of Keystone and Lew Jones Roads. There is one tombstone. Two graves are outline with brick and one marked with marble slab and 2 unmarked graves. Boice Cemetery: Located in section 15 on Clark Chapel Road. Number of tombstones: 1 located in pasture field. Clark Cemetery: Located in section 19 on Clark Chapel Road at the Clark Chapel Acre Campground. Number of tombstones: 14 + unmarked. Clark Chapel Cemetery: Located in section 19 about 1 ½ miles from Porter on the Clark Chapel Road, at the Church. Number of tombstones: about 200 + unmarked. Eblin Cemetery: Located in section 15 off Clark Chapel Road,on a fence line directly behind the Morgan Weslyan Church about 1000 feet. Number of tombstones: 10 + unmarked. Ellis Cemetery: Located in section 27 on a farm reached by taking road # 17 from Thompson Road. Number of tombstones: None, one burial recorded in McCoy-Moore Funeral Home records. Glassburn Cemetery: Located in section 13 on the Max Eno Road, on a point directly behind the Max Eno house. Marker found under the sod. Number of tombstones: 1 + 2 sandstones. Hill Cemetery: Located in section 27 on a farm near the intersection of Vinton-Eno and Frank Ward Roads. Number of tombstones: None, 2 reported burials. Hughes: Located in section 10 on Bill George Road in the middle of a field on the west side of the road. It is about ½ of a mile from the intersection of Vinton-Eno Road and the Bill George Road. Number of tombstones: 3 and at least 3 unmarked. 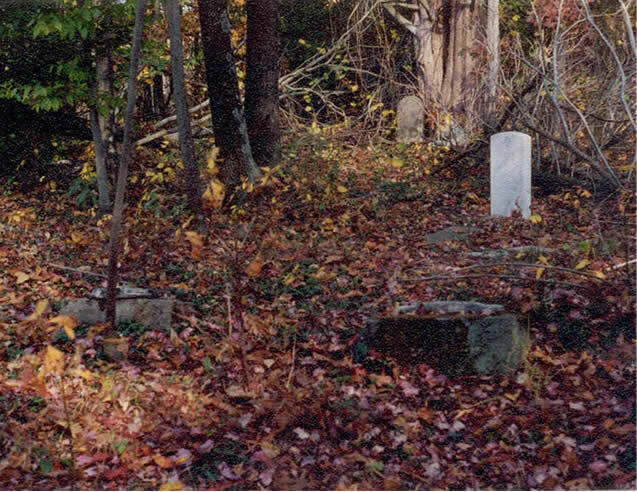 McCarley (Upper) Cemetery: Located in section 32 on a wooded hilltop east of Vinton-Glen Summitt Road. This is about a mile north of Glen Summitt Road. Number of tombstones: 5. McClaskey Cemetery: Located in section 21 about ½ mile northwest of the Morgan-Bethel Church. Is now abandoned but was fenced at one time. Number of tombstones: 1 marker no inscription. McLeish Cemetery: Located in section 34 on a hilltop southwest of Roy Spires Road on the McComas farm and is surrounded by an iron fence. Number of tombstones: 5. 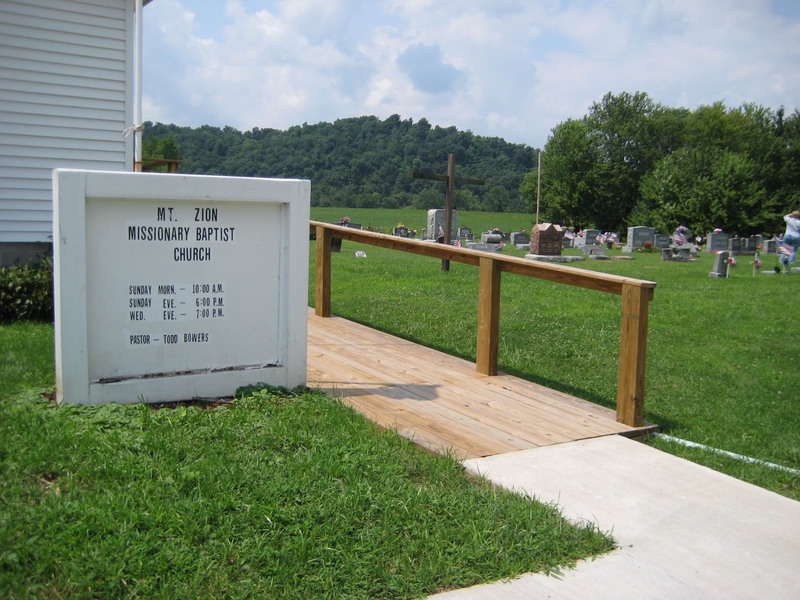 Miller Cemetery: Located in section 11 on the Glenn Hash Road (off of the Bill George Road). Number of tombstones: about 60 + unmarked. Morgan Bethel Cemetery: (Colored) Located in section 21 on the Wes Denny Road. Number of tombstones: about 107 + many unmarked. Morgan Center Weslyan: or Pilgrim Holiness: Located in section 15 near Morgan Center at the intersection of Vinton-Eno Road and Clark Chapel Road (at the Church). Number of tombstones: about 70 + unmarked. Pierce Cemetery: Located in section 25. The cemetery has been destroyed. One marker recovered from a manure pile and stored in the barn by Dr. deLamerens. Others said to have been crushed for road stone. Number of tombstones: 1 found, Pierce, ____no dates. Pine Grove Cemetery: Located in section 23 and 29. Boundary line of this cemetery is on the west side of Rowleville Road. Number of tombstones: about 250. Robinson Cemetery: Located in section 8. 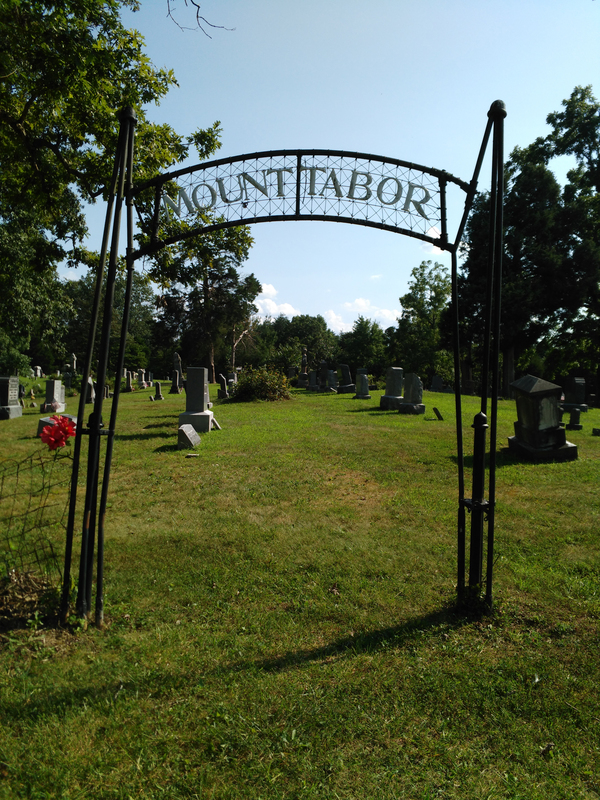 From Route 554 turn west on Thompson Road and go about ¼ of a mile and the cemetery is on the northside of the road. Number of tombstones: about 145. Roush Cemetery: Located in section 10 about 300 feet directly behind the residence of Earl George. Cemetery is abandoned and only the concrete corner markers remain. Number of tombstone: None. Shield Cemetery: or Old McCarley: Located in section 27 on the southwester border, just north of State Route 160. Number of tombstones: 7 + unmarked. Stone Cemetery: Located in section 9 about ½ of a mile northeast of the Eno-Vinton Road on property of Doug Reynolds in a wooded area. No road to cemetery. Number of tombstones: 13 + unmarked. Unknown Cemetery: Located in section 3 about ¼ of a mile south of State Route 554on property owned by Ralph Reynolds. No evidence of cemetery now exists. Vance Cemetery: Located in section 16 from Morgan Center turn northeast on Up Creek Road going about 1 mile and on the left there is roadway (path now) leading to the cemetery. Number of tombstones: 20 + possibly 20 unmarked. Wilcox Cemetery: Located in section 35 on top of a hill in the woods north of Tom Thaxton Road near intersection of Thaxton Road and State Route 35. Number of tombstones: 52 + unmarked. 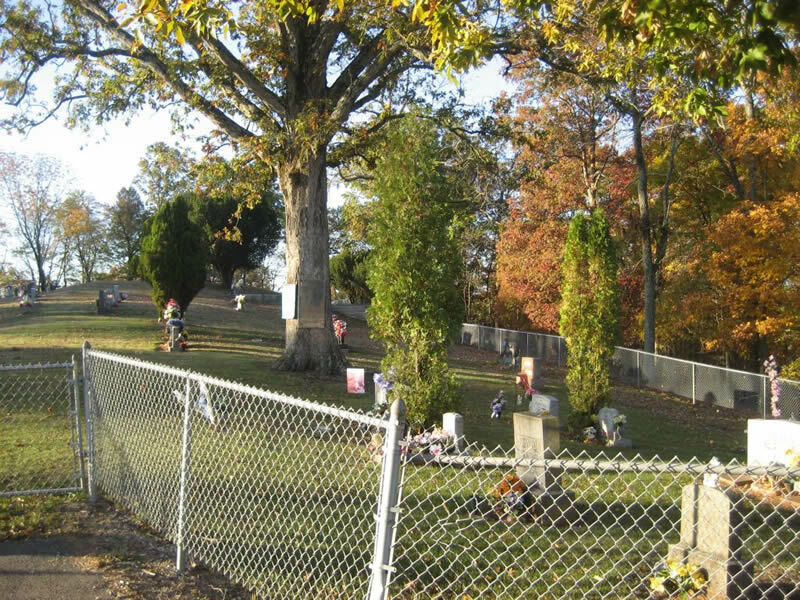 Wildman Cemetery: Located in section 10 on a pasture hill top directly south of a house belonging to Huck Ferrell who lives on Roush Hollow Road. Number of tombstones: 8 + unmarked. Big Four Cemetery: Located in section 26 on Hannan Trace Road on top of the hill just above Old Route 7. Number of tombstones: 20 plus 10 unmarked graves. Bush Cemetery: Located in section 36. Number of tombstones: 0 Former wooden markes have rotted away. Campbell Cemetery: Located in section 15 directly across Old Route 7 at Horse Creek Road. Number of tombstones: 3 plus other graves without markers. Galloway (White) Cemetery: Located in section 33 on the north side of Hannan Trace Road. Number of tombstones: 60 plus 28 unreadable markers. King's Chapel Cemetery: Located in section 28 off Johnson Road on King Cemetery Lane just behind the church. Number of tombstones: 165 plus 11 unmarked graves. Unknown Colored Cemetery: Located in section 16. No markers but graves of workers for the Swan Creek Coal Company are believed to be here. Watson Cemetery: Located in section 32 on the north side of State Route 7. Number of tombstones: 2 plus possibility of several unmarked graves. Old Waugh Cemetery (Hobbs-Guthrie): Located in section 20. No markers. Unknown number of graves. Cemetery reported as having been "destroyed." Bane Cemetery: Located in section 23 on the north side of State Route 141 near the intersection of Saunders Road. Number of tombstones: 5 unidentified fieldstones. Boggs Cemetery: Located in section 20 eight-tenths of a mile from Nebo Road on the Boggs School Road. Number of tombstones: 1 plus at least three unmarked graves. Carter Cemetery: Located in section 35 about three-fourths mile up the Sauders road on the right hand side. No markers are discerible today. Patriot Cemetery: Located in section 34 on the Patriot Cadmus Road, one-fourth mile west of Patriot at the site of the Patriot Methodist Church. Number of tombstones: 127 plus more than 25 unmarked graves. Ripley Cemetery: Located in section 35 one-half mile east of Patriot on the north side of Cadmus-Patriot Road. Number of tombstones: 15 plus about 12 unmarked graves. Salem Calvinist Methodist Church: Located in section 8 west of Nebo road near the junction of Synder Road. No markers but four graves reported on land deed. Tyn Rhos Cemetery: Located in section 4 on the east side of Tyn Rhos Road at the site of the Tyn Rhos Church. Number of tombstones: 524 plus 34 graves recorded in records but unmarked. 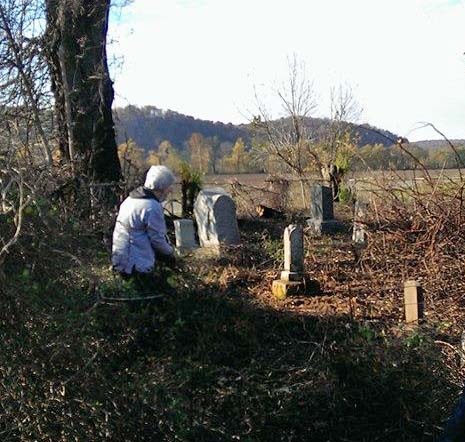 Unknown Cemetery: Located in section 2 between Adamsville-Cora road and Raccoon Creek. No markers. Baxter Cemetery: Baxter Cemetery is listed under the Watson Cemetery . Bunch Cemetery: This is a colored cemetery. Located in Section 13 on Gooch Road . Number of tombstones: 11 There are also 10 unmarked graves and one veteran marker. Koontz Cemetery #1: Located in Section 10 atop a ridge 1/2 mile west of Route 325 and 1/2 mile north of Ebenezer Carmel Road. A telephone exchange is directly south of the plot. There is a Masonic Emblem for Oliver Scott who was a soldier in the armies of the U.S. in the Revolutionary War. Number of tombstones: 20 plus several sand slabs. McCarley Cemetery: Located in Section 13 west of the New Hope Baptist Church on State Route 554 adjacent to New Hope Cemetery. Number of tombstones: 34. 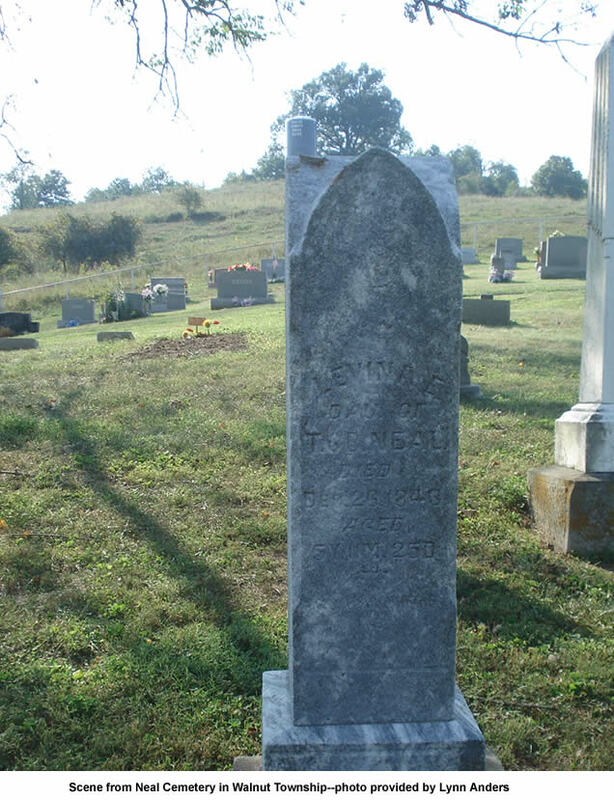 Millie Smith Cemetery: Located in Section 18 on a farm 1/2 mile north of Thurman on County Road #8 (Tick Ridge) Stones are gone but named for Millie Smith who liked to play here. Died at age 9 or 10. Also a Lamber baby buried there. New Hope Cemetery: Located in Section 13. This is a colored cemetery, about 1/2 mile west from Harrisburg on State Route 554 by New Hope Baptist Church. First built near Viney Cemetery, the church burned and was rebuilt on this location. Number of tombstones: 51 Several veterans markers. Old Pine Cemetery: Located in Section 34 on the east side of State Route 325 about 2 miles south of Rio Grande at the Old Pine Church. Number of tombstones: 348 Some sandstone footstones. White Cemetery: Listed under Watson Cemetery. Wood Family Cemetery: Located in Section 26 on the Bob Evans Farm, northeast of old Route 35 at Adamsville. Lighted at night and flies a 13 star flag and shows a 1781 cannon. Number of tombstones: 14 plus some footstones. Unknown (Rickabaugh) ?? Located in Section 35 at Garners Ford Bridge. 2 markers were found. New Zion Cemetery (Jackson County): Located in Section 24 of Madison Township, Jackson County on a gravel road directly west of Thurman, then going toward Oak hill. There are several unknown soldiers. Number of tombstones: 242 Included here because many Gallia County associated burials here. 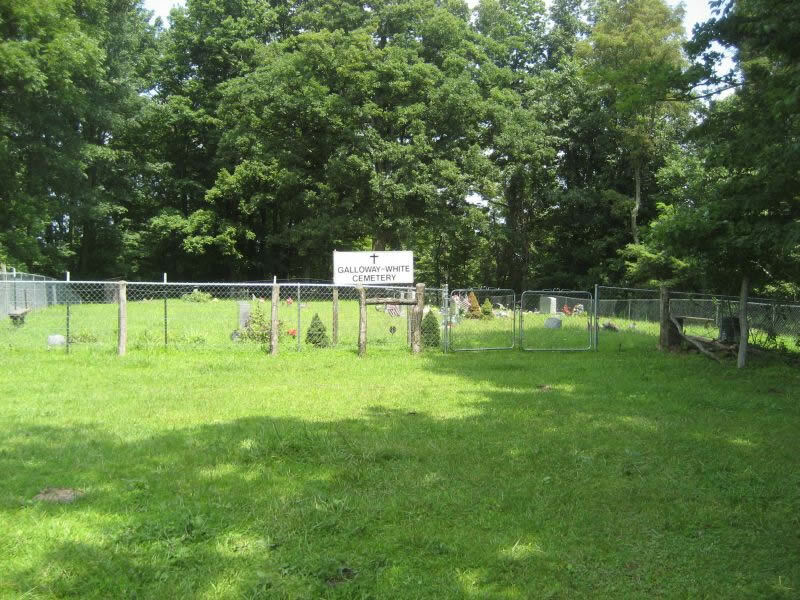 Blosser Cemetery: Located in Section 11 of Springfield Township on Campaign Creek. This cemetery is abandoned and there are no stones. Buck Burial Plot: Located in section 17 on the Brookman Township Road near Porter. There is no monument. It is said William Buck was burried here September 15, 1878, a yellow fever victim. From the death record at Gallia County Court House. 61. There are 7 unmarked graves. Denney: Located in Section 23 one-half mile north of the Kerr-Harrisburg Road under an old oak tree. There is one marker which is broken but standing and a footstone. The Viney Cemetery is about one-half mile to the north west. Samuel Denney: Located in Section 27 about one-fourth mile southwest of the Old Brick Church on Fairview-Evergreen Road. Only one marker was found. It was broken into three pieces with a footstone lying beneath a walnut tree. About 100 feet from the Blackburn-Taylor line fence due west of a large od tree located on the line fence. Dobbin Family Cemetery: off Champaign Rd. on Private property. Number of tombstones: About 4. Donnally Cemetery: Located in Section 20 at the end of Bob Evans Road. The cemetery is totally destroyed and leveled for farming. A single stone, damaged but readable was found in the farm shed. Fairview Cemetery (Long Cemetery): Located in Section 35 on the Fairview Road. Number of tombstones: 574 and 14 unmakred graves. Goetting Cemetery: Located in Section 26 on the southside of Harrisburg-Rodney Road. This cemetery is about one-half mile from the intersection of the Harrisburg-Rodney and the Bidwell-Rodney Roads. There are 17 stones and 2-3 unmarked graves. Some of the monuments have fallen down. Langley Cemetery: Located in section 22 south of Bidwell on the Bidwell-Rodney Road, east of the roadway about one-fourth mile, south-east of the intersection of Bidwell-Rodney and the August Vollburn Rd. There are 9 stones. This cemetery was destroyed in 1975 someone burned his tobacco bed on the plot. A tractor overturned, broke and spread the tombstones in every possible direction. Lawless Cemetery: Located in Section 12 on Campaign Road (T9). It is part of a cow lot. There are 7 stones and maybe 30 or more unreadable grave markers. Laywell-Russell Cemetery: Located in Section 12 on the west side of Blasser School Road on a line fence, about 300 feet from the Road. There is one broken stone. The Laywells have no stones. McLean Cemetery (Porter): Located in Section 23 west of Porter near the intersection of State Routes 554 and 160. There are 9 graves and a Veterans marker. These monument have to be uncoverd from sod. One stone is still standing. Mt. Olive Cemetery: Located in Section 36 at Mt. Olive church on the Bidwell-Mt. Olive Road. There are 159 stones including one from the Mexican War. There are 39 unmarked graves. The Russell family was once buried at Porter and had to be moved.here. Nuby Cemetery (Colored): Located in Section 17 on the north side of the Swango-Brookman Road and about one-fourth mile southwest of the junction of Swango Brookman and Prospect Road. This is a colored cemetery. No markers. A Mrs. Petteford is buried here. Pine Hill Cemetery (Evergreen): Located in Section 15 at the end of the Pine Hill Cemetery Rd. There are 32 unmarked graves and 136 stones. These include one War of 1812, one Spanish American War and one CW. (that I could find. Prospect Church Cemetery (White? ): Located in Section 10. There are 24 unmarked graves 36 stones and some veterans markers. Providence Baptist Cemetery (also called Buck Ridge): Located in Section 7 on the Buck Ridge Road at the Providence Baptist Church. There are 87 stones and 127 unmarked graves. This may be a colored cemetery. There are some veterans markers. Rhine Cemetery: Located in Section 25 on the north side of 160 (old Route 35), just across from the junction of 588. There are broken stones and a footstone. Russell Cemetery: This cemetery no longer exists. It was located in Section 24. The remains and markers were moved to Mt Olive Cemetery in Springfield Township . Russell Infant plot: A single grave, no monument in the village of Porter. Sexton Cemetery: Located in Section 10 on O.J. White Road. There are 2 stones. Stephens Cemetery: Located in Section 17 (S. E corner ) of Springfield Township. This is on the S. E. side of the Swango-Brookman Road about one-fourth mile from Prosepct Rd. It is in a wooded area on the point of a ridge. It is a colored cemetery. There are 8 stones and 5 unmarked graves. Unknown (Possibly Boice): Located in Section 28 near the Brick Church on the Fairview-Evergreen Road . No markers. 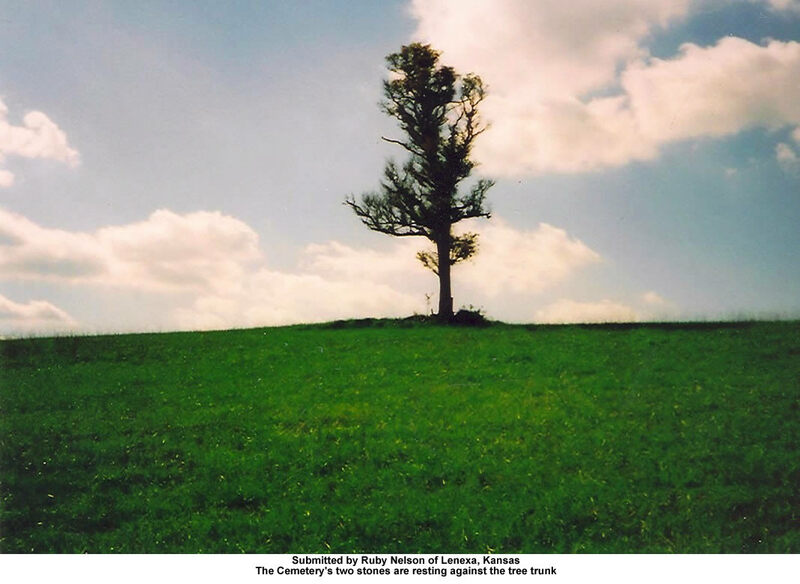 Unknown (Possibly Hill): Located in Section 19 about 1000 yards south of the Bob Evans barn on Bob Evans Road. There are six fieldstones. Alfred Day, Civil War soldier, is reportedly buried in Hill Cemetery . DUV. Viney Cemetery (colored): Located in Section 33 north from Kerr-Harrisburg Road onto the Viney Road at the end. There are about 30 unmarked graves with about six to eight stones marking definte graves. There is a veterans marker with a rock to mark the grave. Westerman Cemetery (Evergreen):Located in Section 15 in the churchyard of Westerman Church on Old Route 160 in the Village of Evergreen. There are 7 stones and one base. Some of these are veterans markers. Allbright Cemetery: Located in section 28 in the northeast quarter, south of Mt. Zion Road. No markers but three graves suspected to be here. Clark Cemetery: Located in section 26 on the west side of State Route 775. Number of tombstones: 20 plus about 20 more markers unreadable. 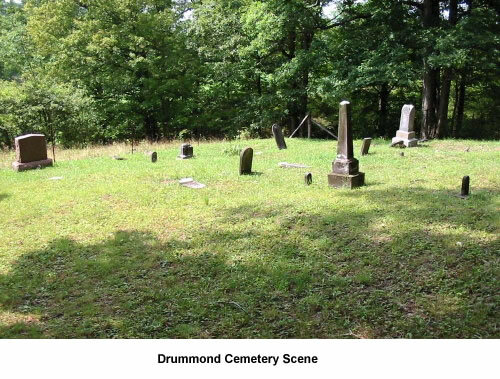 Drummond Cemetery: Located in section 25 about 1,000 feet east of Lincoln Pike Road and one-sixth mile northeast of the Steve Elliott Road. Number of tombstones: 33 plus 6 unmarked graves. Drummond-Folden Cemetery: Located in section 23 north of Peter's Cave Road. Number of tombstones: 33 plus several unmarked graves. Langley Cemetery: Located in section 36. No markers. One grave. McCarley Cemetery: Located in section 8 on the north side of German Hollow Road about one-half mile from State Route 141. Number of tombstones: 5 but twenty or more unmarked graves. Null Cemetery: Located in section 25. Only 2 markers for about 20 graves. Valley View Menonnite Cemetery: 2065 Hannan Trace Road one mile of State Route 775 in Walnut Township. Established about 2002. Unknown number of burials. Cemetery is located behind the church.